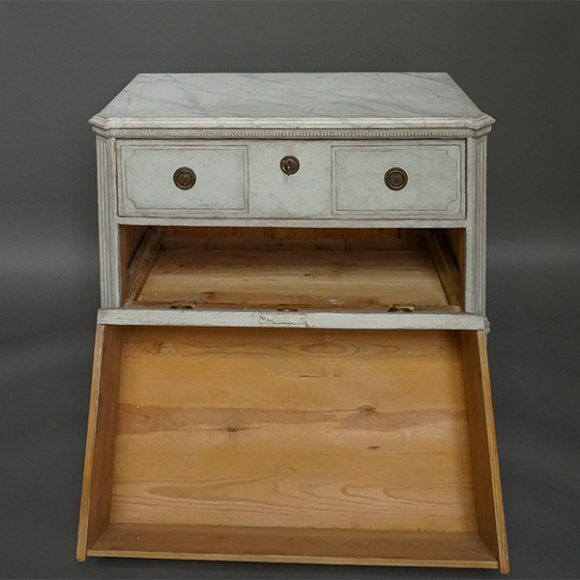 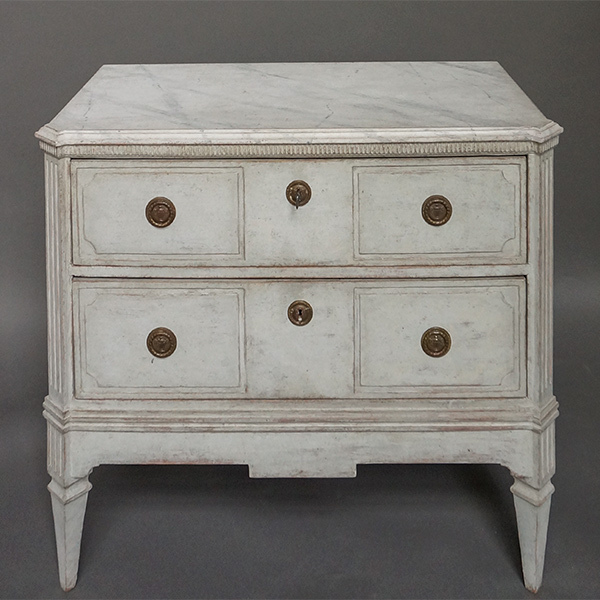 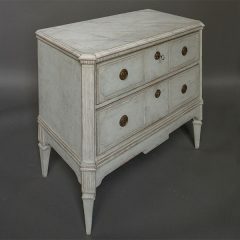 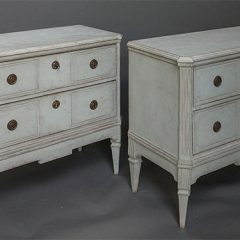 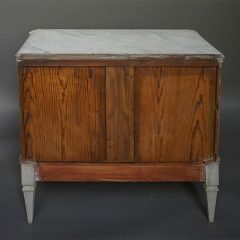 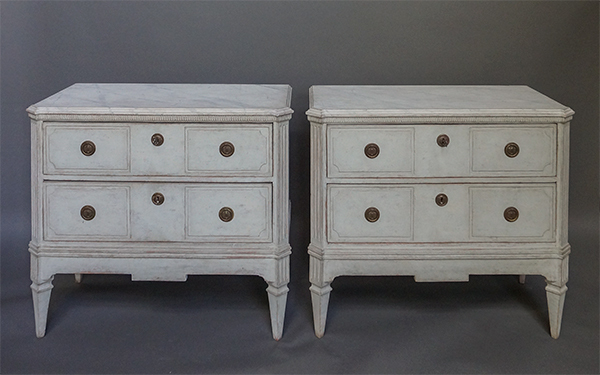 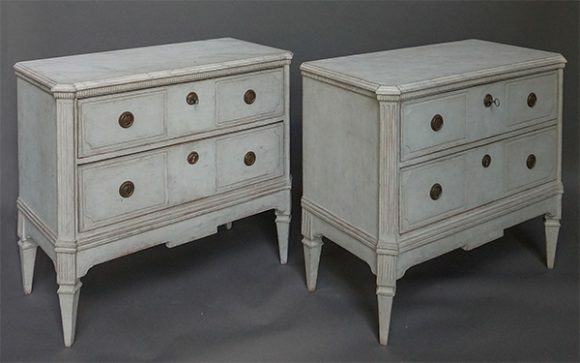 Pair of Swedish commodes, circa 1870, in the late Gustavian style. 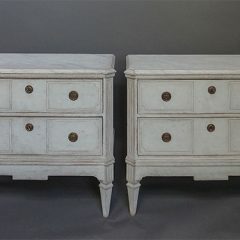 The shaped tops are marbled and have dentil molding below. 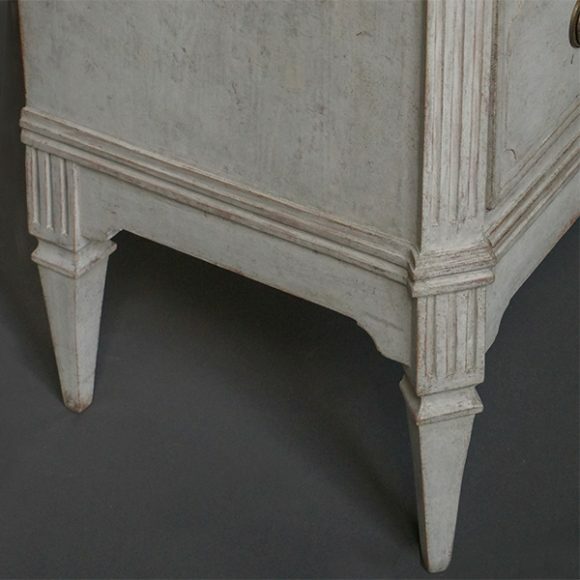 The canted corner blocks are fluted and extend to tapering square legs. 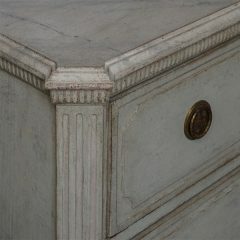 Each drawer front has decorative channels to suggest raised panels. The shaped aprons continue the breakfront look.